Happy Halloween! Today I'm going to talk about one of the classic Halloween songs that will probably be played at every Halloween party or celebration you go to. It's Michael Jackson's "Thriller"! The song was written by Rod Temperton and the music video was first premiered on MTV on November 14th, 1983. The now 34 year old video still holds up, the spooky monster makeup, the popular dance, and the classic song are all perfect for Halloween. A fun fact about the video, the song writer, Temperton, had thought that it would be interesting if the song had a voice-over with someone who was known for horror, and Temperton's then-wife Peggy Lipton knew Vincent Price. They asked Price if he would be willing to be a part of it and he agreed, in fact there was a whole other verse to his speech that they cut. Here is the video to watch if you want to get in the spooky-mood! Hello! Hope you guys are enjoying the low temperatures that have been surfacing the last couple of days! This weekend, not only will people be celebrating Halloween early, but tonight there will be a Fall Fest here at W&J! Sponsored by SAB, there will be free food, drinks, and fun activities such as "Stuff-A-Zombie", pumpkin carving, pumpkin origami, and a photo backdrop! Feel free to stop by in the HUB Alley and Patio from 7:00pm-10:00pm! Hope to see y'all there! Happy October! As the Hump Day has officially began, now is the time to finish out the week and listen to Maluma's hit song Felices los 4. Maluma is a Colombian singer who is singed to Sony Music and Sony Columbia. Starting his career in 2010, the 23 year old has thrived in the Spanish music industry with receiving billions of views on his YouTube videos. Here is one of his five top singles on the Hot Latin Charts for 2016. The Washington County Gay Straight Alliance will be hosting the Pittsburgh Renaissance City Choir for their fifth annual performance at the WCGSA. 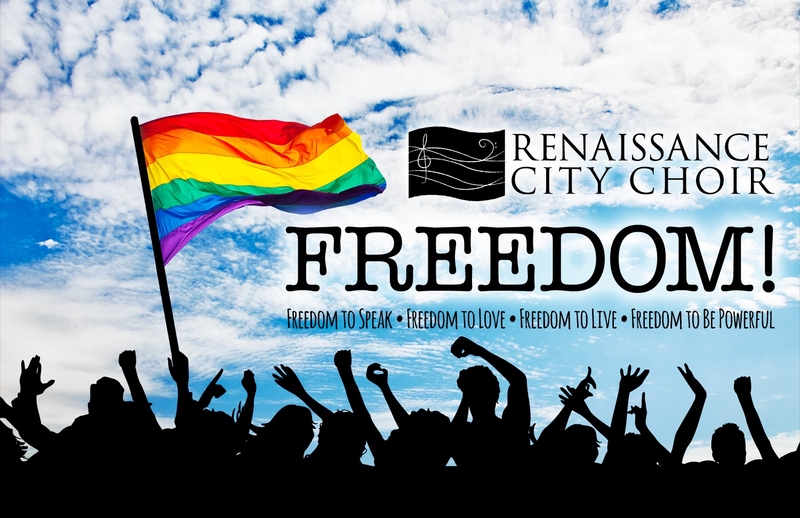 The choir will be preforming music from their show "Freedom!" After the show there will be a reception where you can meet and mingle with the performers at the venue. 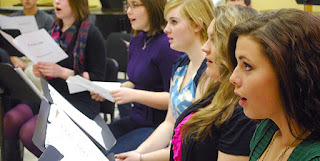 This is a vital annual fundraising event for the WCGSA. The show will be held at their new center at 59 East Strawberry Avenue here in Washington. Tickets are $25 for adult and $10 for students, the tickets can be purchased at the door or online HERE. Hello listeners! Want to show your W&J team spirit? The W&J Softball team is setting a fundraiser on Monday, October 9th, from 4:00pm to 8:00pm. Make sure to go to Chipotle located at 187 Old Mill Blvd in Washington, PA and show this flyer! Whether you show it on your smartphone or print it out, by showing it to the cashier, 50% of the proceeds will be donated to the W&J Softball team. Not only will you get great food, but you will be helping out a great team. Make sure to stop by! The W&J Softball team thanks you! Hi guys! Hope everyone is doing well! I was reviewing some music last week and cam across American producer and DJ TOKiMONSTA, real name Jennifer Lee. I was excited when I realized that I would be seeing her at Thrival Music Festival that night. Her third studio album, Lune Rouge, is expected to be released tomorrow! The singles "We Love," "No Way," and "Don't Call Me" will all be featured on the album. Lee stopped producing music for a bit after she had two surgeries for a rare brain disorder, which made her lose her speech and musical abilities. She slowly regained what she has lost and is now stepping back into the music industry. She is currently on tour so be sure to check out if she is coming to a stage near you because her music does not disappoint! Also be sure to tune in the 91.7FM WNJR to hear more from TOKiMONSTA and more artists like her! Tom Petty died of cardiac arrest yesterday, October 2, 2017, at the age of 66. Tom Petty, (Thomas Earl Petty) was born on October 20th 1950, he dropped out of high school at the age of 17 to start a band, inspired by artists like the Beatles and Elvis Priestly. It was through his early bands, like "Mudcrutch", that Petty met the people he would one day work with in his famous and influential band, "Tom Petty and the Heartbreakers". In 1988 Petty joined George Harrison's group "The Traveling Wilburys" with other famous artists like Bob Dylan and Roy Orbison. Petty also released solo albums, one of which, called "Full Moon Fever" included some of his most popular songs, like "I won't back down" and "Free Fallin'". Having sold over 80 million records worldwide, Tom Petty is one of the best selling artists of all time, he was also inducted in the Rock and Roll Hall of Fame in 2002. Here is my favorite Tom Petty song, "Wildflowers" and be sure to tune into Pure Rock on Monday through Friday at 3pm on WNJR Washington to hear music by Tom Petty and similar artists. Happy Monday! As the new week begins, here is hit song by the infamous Ricky Martin. If the name sounds familar, it's probably because of Ricky's song Livin La Vida Loca, which was featured on Shrek in 2001. Creating one of his newer songs with the young star Maluma, they together have reached over a billion views on YouTube, making them on of the top duos for 2016. 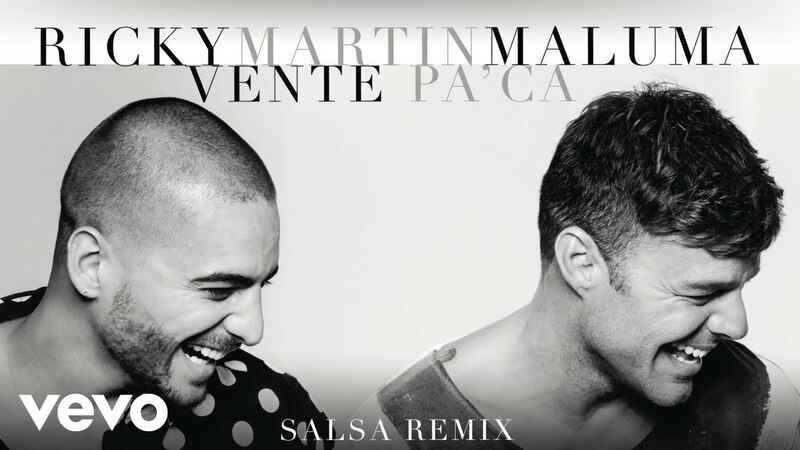 If you enjoy this collaboration and are interested in listening to more of their music, Ricky Martin and Maluma's YouTube page links will be listed below. Enjoy another great week and stay tuned to WNJR.